Brendan Hibbert has worked in the publishing and graphic design industry since 1994. After completing a Bachelor of Visual Arts (with a Graphic Design major) at LaTrobe University Bendigo, Brendan worked with London based Oneill Modern Media, designing and developing a number of web sites, producing motion graphic work as well as contributing to numerous European corporate branding projects. On his return to Melbourne he worked with Visual Jazz as a senior designer responsible for managing major campaigns for Simonds Homes, Bang & Olufsen, Smorgon Group and packaging requirements for Defence Force Recruiting. Visit his LINKED-IN profile here. Brendan now lectures in Graphic Design at the North Metropolitan TAFE (formerly Central Institute of Technology), is a current councillor (past president and past national council member) for the Australian Graphic Design Association and maintains Brendan Hibbert Design as a small studio practice. Brendan supports the Australian Graphic Design Association in Western Australia and is working hard to elevate the profile of the Australian Design industry. What better way to help your business succeed then to help the entire public perception of design in general. Brendan has been a specialist graphic design lecturer with North Metropolitan TAFE (formerly Central Institute of Technology) since 2006. He is still just as passionate about design education and the VET skills sector. He was recently nominated for TAFE Staff Service Award and recognised by the college as an Academic Skills Lecturer (Level 2). The web has come a long way and WordPress is leading every trend in well supported and amazingly rich content management experiences. 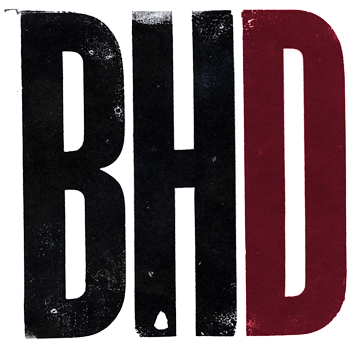 BHD teaches and develops exclusively in WordPress, creating creative and uniquely customised online experiences, with feature rich extensions and training both students and clients how to maintain them. 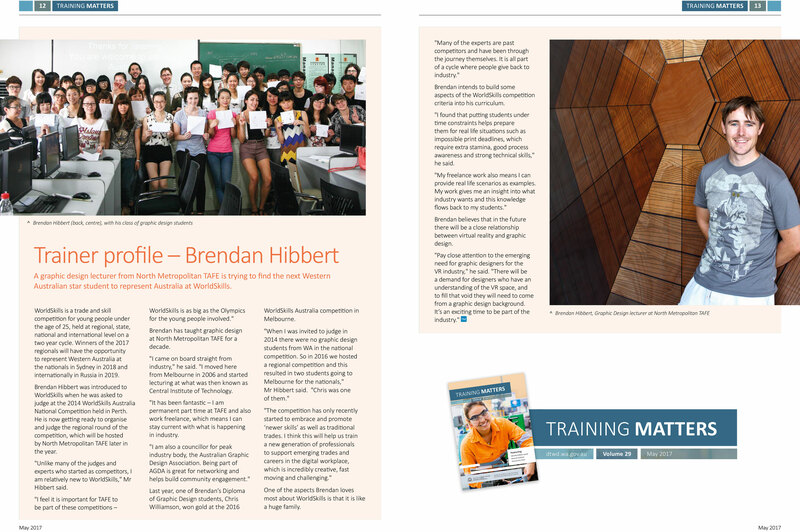 Brendan first judged the Worldskills Australia National Graphic Design competition in 2014 at the Perth Convention Centre. He has since held two regional competitions for WA and judged at the international Worldskills Abu Dhabi 2017 event.